We advocate for animals and their families. We want each pet in our care and the families who adopt them to succeed. How? By listening to the unique needs and expectations of each family wishing to adopt, and then finding the best pet match. We teach families about the unique animal they adopt, including discussing its breed, personality, expected behavior based on factors like age; and how to best care for them. We believe the more a family knows about their new pet, the higher chance for a long, happy life together. Search our adoptable animals online. Visit the shelter to see who’s available now! Stop by any time we’re open to talk with one of our knowledgeable adoption counselors who’ll be happy to help match you with the best pet for your family based on your preferences and lifestyle. See you soon! 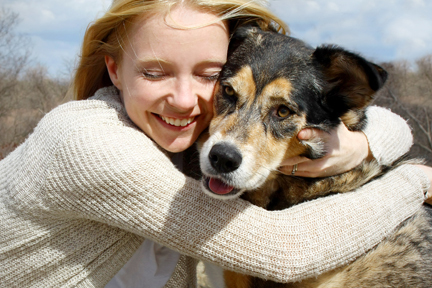 Call us at 303.288.3294 to talk to an adoption counselor to learn more about a pet you’ve seen on our Adoptables page. Please note: We’re happy to host visitations and to process adoptions up until 30 minutes prior to closing. Visit our shelter to talk with an adoption counselor about the animal you’re interested in adding to your family. Visit with the pet. Bring the whole family! It’s best for everyone to meet the pet to ensure it’s a match for everyone. If a dog is your preference, bring any other dogs that are already part of the family. Cats take a bit more time to adjust to new additions to the family, so we don’t recommend cat-dog or cat-cat visits. If you love them and they love you, the adoption counselor will process your adoption fee and you’re free to take your new pet home to love forever! *If your ID doesn’t have your current address, please bring a utility bill, vehicle registration, or similar document that shows your current address. You must be 18 years of age or older to adopt.